With all of the sprinkler repair service companies in the East Bay Area, you are probably asking yourself, “What makes Accent Sprinkler Repair, different?” and “Why should I used Accent Sprinkler Repair?” Below you will find answers that will prove to make Accent Sprinkler Repair your choice for all of your sprinkler and irrigation repair needs. By choosing Accent Sprinkler Repair, you can have the peace of mind that you have selected a sprinkler and irrigation company that will keep your sprinkler system running all year round and your yard will remain beautiful season after season! My name is Jason and I'm a Petaluma local class of 2005, I've been working in the business full time for 12 years. I am the business owner and operator and I do all of my own work. Right now I'm looking to fill my schedule because I've branched off to form my own company. I can do everything from basic lawncare/landscaping/cleanups to sprinkler repair/landscape material installs/trees/shrubs and roses. You can call or text me at 7073389170 for more information. I don't mind meeting you just to give a free estimate. Welcome to a new era of landscaping precision. Here at JMP Gardening we ensure that every job is done promptly and professionally and will never leave a job until it is to the standard that we would expect at our own homes. We pride ourselves in delivering excellent results for our clients who rely on us to construct and maintain the outdoor living spaces that they cherish.We take the time to understand our clients’ lifestyle requirements and pay close attention to detail to ensure that every landscape we design and build will last. Our prompt and personal service has helped us develop a strong reputation for excellence within the landscaping industry. Nothing is too much trouble for us and we get results, often at short notice and always completed on time. This has led to a growth in our business based in referrals from many satisfied customers. We make sure our customers are kept informed throughout every stage of a project. We’ll involve you in the process as little or as much as you like. Our quoting process is detailed and fully discloses all costs, so there are no unpleasant extras at the end of the job. And of course our work is guaranteed in terms of plants, materials and workmanship. Our Mission is to create the highest quality products and services to our customers. To go the extra mile in Satisfaction, to give and create more than what is expected. To hold true to our values of Honesty, Loyalty, Quality, Professionalism and Customer Satisfaction. 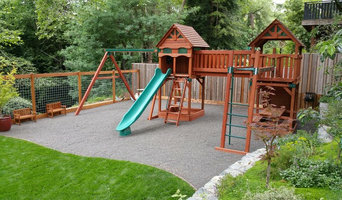 Like working with a smart, dedicated team of professionals who offer creative solutions to your landscaping challenges? Look no further than Ark's Rotarea. We have a combined 10 years' experience in residential creative landscaping solutions and maintenance for an array of satisfied and grateful clients. I can handle all of your handy man needs. Professional handyman with over 20 years of experience. Skilled with many trades on a wide variety of home repairs and maintenance.